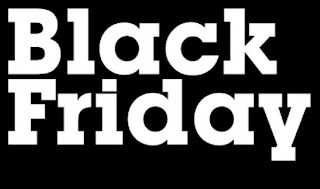 Black Friday (November 23) and Cyber Monday (November 26) are coming up. They are the two busiest days of the year for electronic (including computer) sales. You can get a great deal if you look below the surface and do not purchase the first "deal" pushed up to you. If you are thinking of getting a new computer consider these pointers. Note that this might just apply to United States residents only. 1. Look for Windows 7 Deals: Do you really need Windows 8, the new Microsoft Operating System? I did not like it, and am sticking with Windows 7. You might get a much better deal on a computer with Windows 7 this weekend as old inventory is being cleared out. 2. Purchase a computer with an NVDIA graphics card, and not an ATI card. They work much better with Second Life and are worth the extra cost. Remember - your graphics card is the most important single add-on to your system when gaming. 3. Purchase a Square Trade Warranty. Do not buy an extended service warranty from the place where you purchased your new computer. I have had excellent luck with Square Trade and can recommend them to you. 4. Consider purchasing your new computer at Costco. They give you a full two-year warranty at no extra charge, and you can return your computer within the first 90 days (please check this) for any reason. You can purchase a Costco computer via mail order, but you must buy a membership to do so. Costco teams up with Square Trade for extending your warranty to 3 years for a new computer purchase. Note: You should always buy an extended warranty for your new computer purchase, especially a gaming rig with a graphics card. They do turn to burn out at a faster rate. 6. A laptop will usually not give the same performance as a Desktop rig for gaming for your money. It is very difficult, if possible, to upgrade a graphics card on a laptop. In addition, they overheat when stressed with gaming. Consider purchasing a desktop as your second computer.